On December 27th, Carrie Fisher passed away. 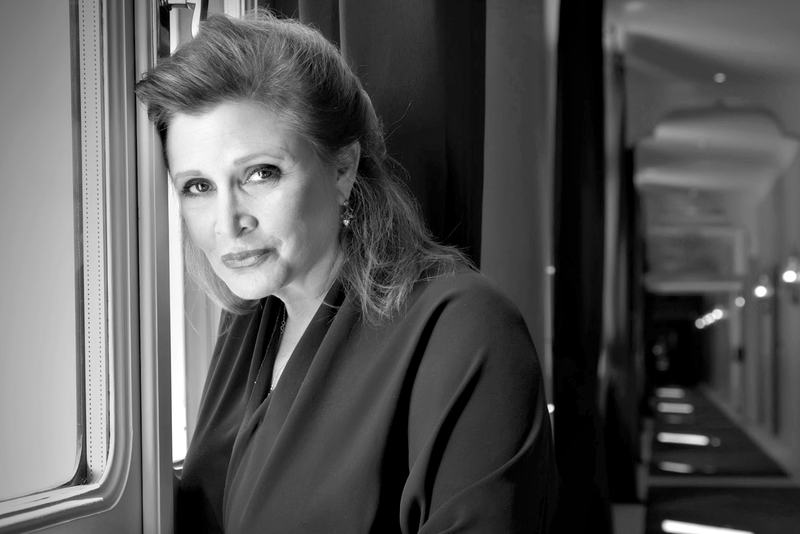 Though she was best known for her role as Princess Leia, Carrie Fisher was also an accomplished author and outspoken mental health advocate. Her legacy will live on, and we'd like to share just a small portion of her legacy: how she's impacted us. A week ago, my co-worker looked at me and said, “Brace yourself. Carrie Fisher died.” And I stared at him in mixture of confusion and shock. My brain could only think “What?” But he nodded and said, “They just confirmed it.” And it hit me. She died. I sat there in silent thought. When Leonard Nimoy and Christopher Lee died, an overwhelming sadness hit me. And when Anton Yelchin died, I was just angry. But with Carrie Fisher, I just felt hollow. I could hardly believe it was true. I knew she had been hospitalized a few days before due to what was reported as a massive heart attack, but I thought she would pull through. But she didn’t. Her death made it feel like the world was missing something, and it was: her. This beautiful, loving woman not only inspired generations of girls and ladies, but she was an advocate for people with mental illness. She was also a writer, which hit home with me when I found out. She wrote several books and was also a script doctor for numerous films. In many of the pictures I saw circling social media in the hours and days after her death, one thing caught me: she always looked like herself. She didn’t seem to hide her faults or problems. She looked like she was having fun with life, whether that was on the set of Star Wars or at movie premieres with her mother and daughter or flicking off the camera while hugging Mark Hamill. I know she wasn’t perfect, and she wasn’t always happy, but she was--and is--still an inspiration. She didn’t let her troubles get the best of her. 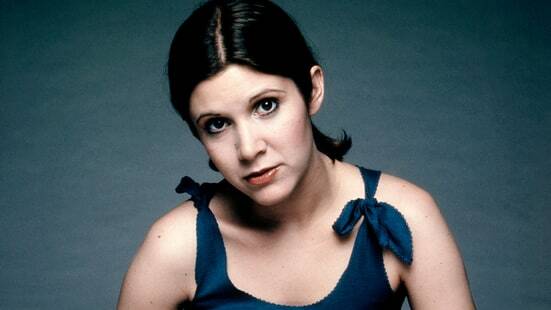 She kept fighting, just like Princess Leia kept fighting. Through her own life and her famous Star Wars character, she taught me--and many other ladies--that women can be strong and smart. They can fight for what they believe. They can take action. She built a legacy that changed cinema, storytelling, and lives. And I think that’s one legacy worth remembering. Carrie Fisher was many things, and I will miss her bright smile in this world. But she has definitely given me hope. To be honest, I am at a loss for words. Someone I've looked up to my whole life is gone. I know I didn't know her personally, but I also know how much she still meant. To me and to millions of other little girls over the years. My heart aches for her family and close friends right now. And I guess all I can say to them is... "Thank you. Thank you for sharing her with the world. And our thoughts and prayers are with you at this time." I was shocked when I heard the news that Carrie Fisher had passed away. Only a bit before, my brother and I had joked lightheartedly about 2016 with a touch of wariness. Obviously, the year has little to do with death, but the many personal and celebrity deaths I’ve experienced in 2016 can belay that point a bit. But it couldn’t be Carrie Fisher who died. She was still comparatively young, the same age as my father. Her daughter is only a few years older than me. No, it couldn’t be Carrie Fisher. And the next day my grief grew at the news that Debbie Reynolds, the mother of Carrie Fisher passed away. Both of these women were a huge part of my childhood and stars of beloved films that I’ve watched over and over again. I’m not ashamed to say that I cried. I don’t know a lot about either of these women’s personal lives. I do know Carrie Fisher was an advocate for mental health, something more people need to consider, but I didn’t personally know them. Because of this, I had people think my grief was foolish. Why cry over someone you don’t know? But why not? Why not cry over every lost life and for every person who is grief stricken? I’m crying for Billie Lourd and Todd Fisher. And I’m praying for this family. 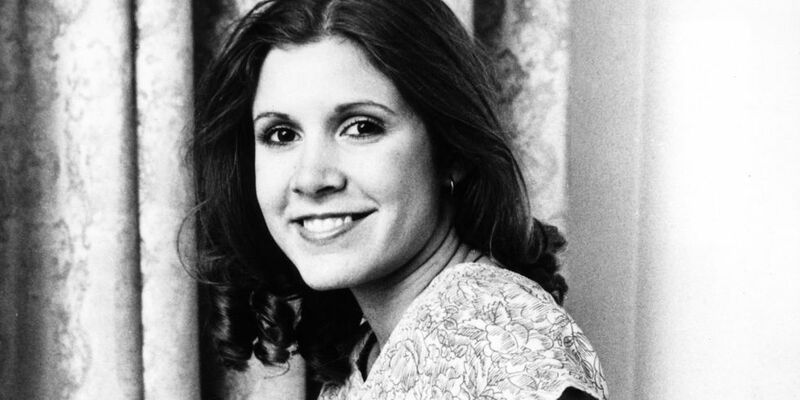 Carrie Fisher was a perfect Princess Leia. She was special. She was both a damsel in distress and a capable warrior. She will always be our princess. Where to even begin? I hated that we lost so many celebrities this year, however, my grief never went further than feeling sad for a couple of days and moving on. But Carrie? I'm grieving that loss. I sobbed when one of my friends texted me the news that she was gone. And to lose Debbie Reynolds the very next day made it worse. I've always wanted to meet Carrie and Debbie and now I'll never have the chance. And then The Force Awakens came out and my princess had become a general. 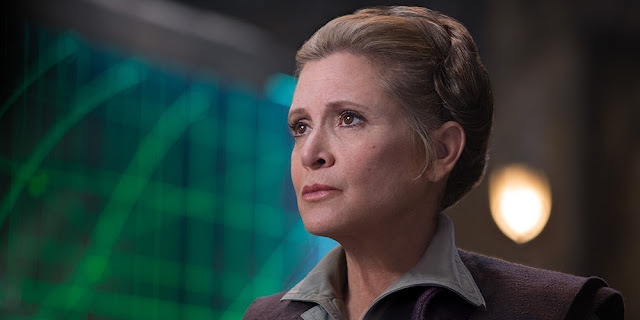 A clearly grieving, hardened general, but underneath still the feisty princess I loved so much as a little kid. Carrie Fisher herself had changed, coming out about her mental illness and her addictions and affairs. I loved her still, for her vulnerability, her refusal to conform to Hollywood's standards, and her continued badass attitude. Carrie, dear, thank you. 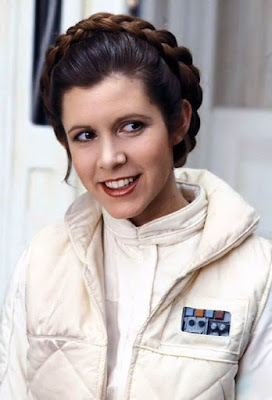 Thank you for being our princess, our general. Thank you for being you, unapologetic, wild, bold YOU. Thank you for giving us Leia. Thank you for making me realize that princesses don't have to be weak or dumb. We can shoot too. We can lead armies and defy the ones that want to crush our spirits. You showed me that women can be strong and yet feminine. I could go on forever, but I'm crying again. 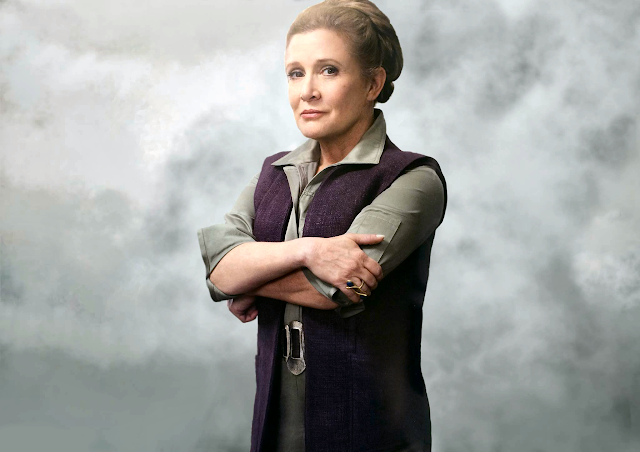 Farewell, General Organa. When you're a little girl playing Star Wars with your brother or neighborhood kids, you HAVE to be Leia. Like, she's the only girl so that's your choice. Backyard playtime dynamics weren't always so progressive that you could be whoever you wanted to be. So thank god that that one girl character you could play as was fierce. Thank god she was powerful and a leader. Thank god she was "bossy" and smart and funny and compassionate. And thank god we got to see her thirty years later, still all of those things. Still a role model. As little girls we were princesses and as women we are generals and senators. Carrie Fisher meant the world to so many fangirls and we must honor her by living our lives not without fear, but with it and doing whatever the hell we wanted to anyway. I've dreaded writing this all week because I still can't really believe she's gone. And even then, what do I even say? I remember appreciating Leia when I was younger, but I wish I had appreciated her even more. She was sassy, gorgeous, funny, strong, smart... she was everything. She was a well-written, badass, role-model female character in a time where those types of characters were very, very rare. In the way she portrayed Leia, Carrie changed the game for all of us. She paved the way. Carrie Fisher was one of the most incredible women the world has had the honor of knowing. She was a role model for generations of women. She taught us that we could be strong and classy. She taught us not to put up with anything, to not take no for an answer. 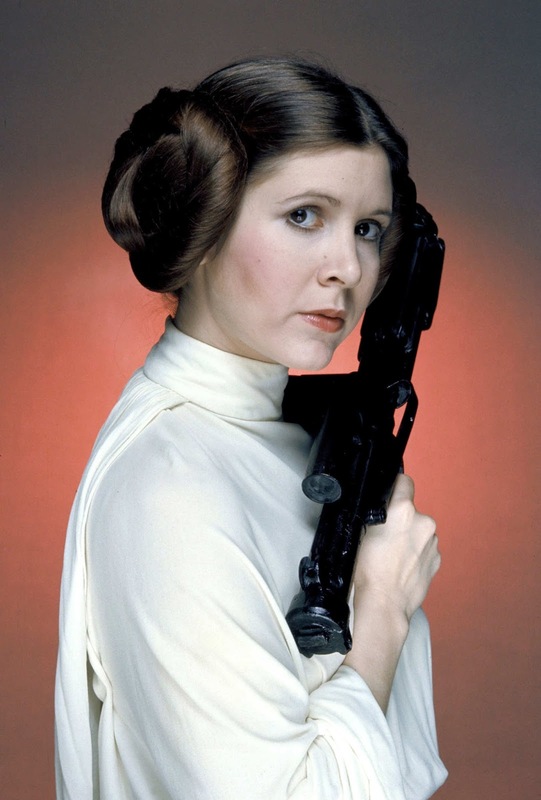 She did this not only in her role as Princess Leia, but in her real life as well. She was a tireless advocate for mental health, and she was unapologetic in her opinions and her femininity. It didn't matter what other people thought. She just didn't care. Carrie Fisher is now my role model. On-screen and off, she taught me to fight hard for what I believe in, to take a stand for what's right. I will forever be grateful for the impact she had on me as a human being and the impact she had on the world with her influence and activism. She was incredible. She was a shining star. She went too soon. And she will be greatly missed. 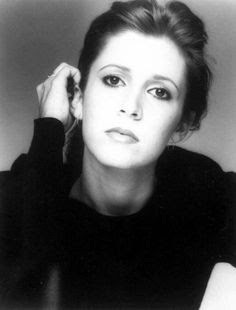 Thank you for all you did for us, Carrie. Thank you so, so much. You have done everything you needed to do, and now we will carry on your work--I promise. Please feel free to leave your tribute to Carrie Fisher in the comments.